I really hope you enjoy this book as much as I did! I’m buying it. omigosh could i actually show up and participate in the discussion? whoa. might be too much to ask but i’m giving it a try. The Kindle version is only $6.56. I am starting it tonight… can’t wait!! Wow! Our website is awesome! I’ve read (& finished) both books in this series… Looking forward to next Friday! I’ll throw some curry tofu together- excellent with tortillas, cheese, beans, etc! Hey Molly- it’s the Red Pepper Kitchen’s curry tofu!!!!! I’m not sure what I’m bringing…I’m thinking quinoa salad. I can’t wait!!!! Molly-Let me know if you need a ride! I will bring sweet potato black bean and feta quesadillas. Yum healthy theme. Oh yea and vodka. Read both books and loved them. Just watched the movie “perks of being a wallflower” which is a great book if ya need a little side reading. Can’t wait to see everyone. I will bring guacamole, chopped onions, and chopped bell peppers. I love this easy theme! 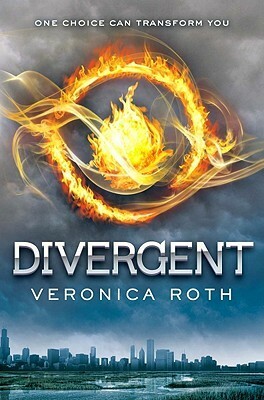 I’m almost done with Divergent… really like it, but doubt I will finish Insurgent by Friday too. Dang! I’m not sure what I will bring. Enjoyed Divergent starting Insurgent tonight. “Borrowed” the Kindle version from the Loussac, l love ListenAlaska! I will bring my avocado salsa without shrimp. I also have a little bit of sour cream. I finished Divergent and liked it but probably won’t get to the second book. It’s definitely on my list as well as the Perks of Being a Wallflower. One meeting I’d like to do that and Catcher in the Rye (old and new school). Looking forward to seeing everyone.